The Fly Fishing equipment you choose to take with you on any trip can change your experience. Having the right flies, fly lines and leader can really make a difference. Rods and reels are also a key part of this trip. In some cases, you may already have many things that you need to take with you but in most cases anglers will make some important decisions on new gear to add to their arsenal for this trip. 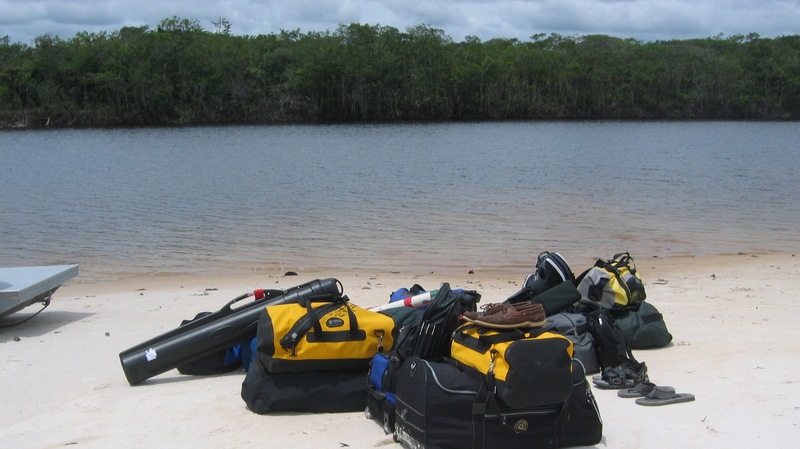 Due to the remoteness of the Lodge it is important to make sure you have everything you need. There is nowhere to replace a broken fly rod or purchase an extra tube of sunscreen once you get there. Taking the time to make a list of the things you will need and planning for this trip in advance is very important, not only to catch plenty of fish but also to be comfortable and enjoy your time in the Amazon. There are a few guidelines that have to be followed as far as luggage weight and size are concerned. There is a strict 45 pound weight limit that applies to most of our trips. There are however a few exceptions to this that may require you to pack even lighter. The type of bags that can be carried on the plane to camp also has some restrictions so please take some time to read our information on gear. You can also print out a copy of our recommended packing list for your convenience.